SANTO DOMINGO , Jan 20 2016 (IPS) - The nearly 7,000 islands and the warm waters of the Caribbean Sea are home to thousands of endemic species and are on the migration route of many kinds of birds. Preserving this abundant fauna requires multilateral actions in today’s era of global warming. That is the goal of the Caribbean Biological Corridor (CBC), a project implemented by the governments of Cuba, Haiti and the Dominican Republic, which was created in 2007 with the support of the United Nations Environment Programme (UNEP) and the European Union with the aim of protecting biodiversity in the region. “Puerto Rico should form part of the corridor in 2016,” Cuban biologist Freddy Rodríguez, who is taking part in the initiative, told IPS. In late 2015 Puerto Rico, a free associated state of the United States, presented an official letter asking to join the sustainable conservation project, whose executive secretariat is located in the Dominican Republic on the border with Haiti. He said the Bahamas, Dominica, Jamaica and Martinique are observer countries that have expressed an interest in joining the corridor. The Caribbean region is already prone to high temperatures, because the wind and ocean currents turn the area into a kind of cauldron that concentrates heat year-round, according to scientific sources. And the situation will only get worse due to the temperature rise predicted as a result of climate change, a phenomenon caused by human activity which has triggered extreme weather events and other changes. The extraordinary biodiversity of the Caribbean is increasingly at risk from this global phenomenon, which has modified growing and blooming seasons, migration patterns, and even species distribution. Meanwhile, the biological corridor is one demonstration of the growing efforts of small Caribbean island nations to preserve their unique natural heritage. It also reflects the long road still ahead to regional integration in the area of conservation. 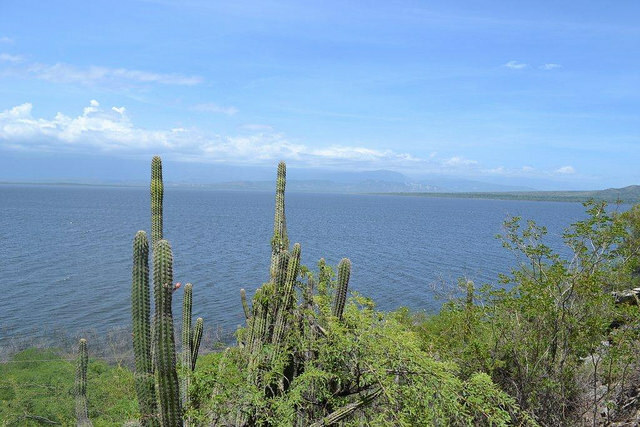 The 1,600-km CBC includes the Jaragua-Bahoruca-Enriquillo Biosphere Reserve and Cordillera Central mountains, in the Dominican Republic; the Chaîne de la Selle mountain range, Lake Azuéi, Fore et Pins, La Visite and the Massif du Nord mountains – all protected areas in Haiti; and the Sierra Maestra and Nipe-Sagua-Baracoa mountain ranges in Cuba. - The region has 703 threatened species according to the International Union for Conservation of Nature (IUCN) Red List. - It provides wintering and nursery grounds for many North Atlantic migratory species, including the great North Atlantic humpback whale, which breeds in the north of the Caribbean. 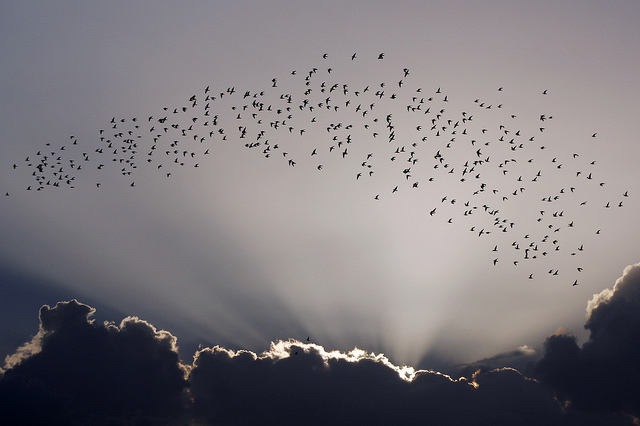 - Several parts of the Caribbean are stopping points for millions of migratory birds flying between North and South America. - The population of the Caribbean depends on the wealth of fragile natural areas for a variety of benefits, such as disaster risk prevention, availability of fresh water and revenue from tourism. Studies carried out by researchers involved in the biological corridor have documented damage caused to nature by extreme events like Hurricane Sandy, which hit eastern Cuba in 2012, and the severe drought of 2015, which affected the entire Caribbean region. Rodríguez said they have carried out more than 60 training sessions, involving local communities as well as government officials from the three countries, with the participation of guests from other Caribbean nations. And they have a web site, which compiles the results of studies, bulletins, a database and maps of the biological corridor. “Other people and institutions say the CBC’s biggest contribution has been to create a platform for collaboration with regard to the environment, which did not exist previously in the insular Caribbean. This has created the possibility for the environment ministers to meet every year to review the progress made as well as pending issues,” Rodríguez said. “We are trying to grow in terms of South-South collaboration,” he said. The insular Caribbean is a multicultural, multi-racial region where people speak Spanish, English, Dutch, French and creoles. It is made up of 13 independent island nations and 19 French, Dutch, British and U.S. overseas territories. These differences, along with the heavy burden of under-development, are hurdles to the conservation of the natural areas in the Caribbean, which is one of the world’s greatest centres of unique biodiversity, due to the high number of endemic species. Experts report that for every 100 square kilometres, there are 23.5 plants that can only be found in the Antilles, an archipelago bordered by the Caribbean Sea to the south and west, the Gulf of Mexico to the northwest, and the Atlantic Ocean to the north and east. The project is focusing on an area of 234,124 square km of greatest biodiversity, home to a number of unique reptile, bird and amphibian species. The CBC’s 2016-2020 development plan also involves continued research on climate change, and aims to expand to marine ecosystems. The four million square km of ocean around the Antilles are “the heart of Atlantic marine diversity,” according to a report by the Critical Ecosystem Partnership Fund. The region contains 25 coral genera, 117 sponges, 633 mollusks, more than 1,400 fishes, 76 sharks, 45 shrimp, 30 cetaceans and 23 species of seabirds. The area also contains some 10,000 square km of reef, 22,000 square km of mangroves, and as much as 33,000 square km of seagrass beds. Viña, director of the CBC executive secretariat, explained that initiatives like the biological corridor require at least 30 years of work to solidify. The corridor has a centre of plant propagation in each one of the member countries, where seedlings of native species are grown to reforest the areas that are benefiting from pilot projects. 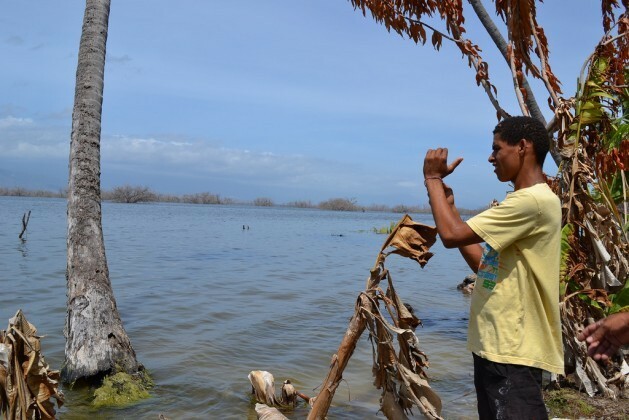 The pilot projects are aimed at helping Dominican, Haitian and Cuban communities to find environmentally-friendly sources of income, besides restoring degraded environments. So far they are being implemented in the Cuban settlements of Sigua in Santiago de Cuba and the Baitiquirí Ecological Reserve in Guantánamo; the communities of Pedro Santana, Paraje Los Rinconcitos and Guayabo, in the Dominican province of Elías Piña; and in the Haitian towns of Dosmond and La Gonave. The article is fatuous and unfounded. Of course, climate change, and other changes, affect wildlife species. Its called evolution. So what? Live with it. Yes, its another big yawn. I am yawning about your stoopid comment dingbat! Current climate change is not evolution. Estoy bostezando sobre tu comentario dingbat stoopid ! El cambio climático actual no es la evolución. There is no empirical evidence that CO2 from fossil fuels affects climate. Human activities cause only about 3% of all carbon dioxide (CO2) emissions to the atmosphere. The rest are the result of decomposing plant material. Maybe climate is warming. It is supposed to be warming, because the earth is emerging from an ice age. Which begs the question why some scientists and government agencies would pad the record by “adjusting” prior-period temperature data. hope it warms further. But that warming is not caused by fossil fuels use. Spending $44 trillion (as estimated by the IEA) to limit fossil fuels is madness. That is a waste of nearly 30% of the cumulative savings of mankind, and $7,000 for every human being. Carbon dioxide emissions and fossil fuels use are beneficial, and climate change is a false premise for regulating them. See Patrick Moore’s recently released lecture http://www.thegwpf.com/28155/. Carbonates form in seawater and soils through biological and chemical processes. The formula is CO2 + CaO => CaCO3. Anyone can make magnesium carbonate in a kitchen by mixing carbonated water with milk of magnesia.